Sigh.. It’s tiring, isn’t it? That feeling you get at 5 PM when the work day is soon coming to an end.. but not for you. You know you need to get your workout in. Even though you might feel exhausted from all the walking, dragging, lifting, pushing or climbing done, you still want to get to the gym and have an awesome workout. And I understand completely. The thirst for self improvement is always there for you. You know you need to work to earn a living but you can’t just leave the gym out of the picture. This is something you love, it brings joy to your day and you feel proud after hitting that new deadlift PR. I’ve been in your shoes, hell – I’m in them right now. After I finish writing this – I also need to get to work for the next 9 hours doing physically demanding work and I’ve got a pull workout to do after that. However, I’ve been on this regimen for over 2 years and along the way, I’ve learned quite a few neat tips and nuggets on how to work my physical job and still make great progress in the gym and today I’m going to share with you these great tips, because let’s face it – to quit working out is the farthest though you in your mind, even after the most strenuous of days. Working a physically demanding job for 8-10 hours and going to the gym after that can be tough. You get to the gym but it just doesn’t feel right. You’re feeling tired from work and having an awesome workout might not be in the menu for today. 1)Start lifting as you normally would and see what happens to your energy levels. I’ve had days where I would feel like crap after work, get to the gym, start my heavy sets on a compound lift and my energy levels and alertness would steadily improve. 2)If scenario #1 doesn’t play out well, decrease your training intensity(amount of weight you’re lifting) to a bearable level and get your workout done. Experiment with different training volume, intensity and frequency. Personally, I love working out so I naturally look for ways to be in the gym 5 days a week without overtraining myself which means that whenever I feel tired, I cut back my training volume and see if that does it. If I normally do 16 sets for chest and another 8 for triceps in my Tuesday workout, now I would drop to 12-13 sets for chest and 6 for triceps. I would do this for all of my workouts throughout the week and if the reduction it training volume helps, I would maintain that for a while. If, after a while, I feel like I can take on more volume, I would steadily add a few more sets throughout the week again. High intensity sets refer to the ones where you are working with a high percentage of your 1 RM(85-95%). If you’re able to bench press 200 pound for 1 rep, a high intensity set would be 170-180 pounds for 3-6 repetitions. What many people don’t realize is this: Heavy sets such as the ones I described above are very taxing on both your central nervous system and body. I’m a huge advocate of heavy lifting and I personally believe that every natural lifter’s main priority in the gym should be progressive overload. But you need to keep in mind that such sets are the hardest to recover from. Back to my point: the next step I would take after reducing training volume is to reduce the amount of heavy sets I do per workout. If I normally follow a 5×5 style of training for my compound exercises (5 sets of 5 reps each), I would drop it to 4 sets for 5 reps for a week and see where that takes me. As my workout progresses I would gradually reduce my training intensity and resting periods and by the time I get to my isolation exercises, I’m training in the 10-15 rep range with breaks of no more than 90 seconds. I keep those sets the same. De-loading is an essential part of any good program. The idea is, you train hard for 8-12 weeks and after that, you have a de-load or complete week off the gym. During a de-load week you can either reduce your training volume, intensity or both by about 50%. No taking sets to failure. No endless workouts. You go in, get it done and leave. To truly reap the benefits of such a week, your workouts need to be light. Allow for your body to recover from the heavy lifting, practice proper form on each exercise and get back stronger than before. Also, keep in mind that we are all different and some people need more rest compared to others. If you feel like you’re starting to become overtrained and each workout feels harder than the last, taking a de-load even if you took one just 4-8 weeks before is still a viable option. Now, having a de-load week is usually my third option to keep the balance between my job and working out and so far I haven’t felt tired, week and overwhelmed after. Therefore, my last approach usually comes in when I’ve been in a caloric deficit for a few weeks. Under normal circumstances, I never really cut back training days, I simply tune down my training a bit and that balances things out. As I mentioned above, I like training frequently but sometimes life gets to us and we need to compromise. If even after the above 3 tactics, I still feel overwhelmed I would finally cut back 1 to 2 days a week from my training schedule. Naturally, during my bulking periods this schedule works perfectly. I’m eating plenty of calories to support my highly active week but when I’m cutting and my body is under enough stress from the calorie restriction as it is, this schedule slowly overwhelms me. I always cut back on training volume first, followed by a reduction in the amount of high intensity sets on compound lifts and then I start combining muscle groups together and cutting back 1 to 2 days a week from my normal schedule. I haven’t kept a 3-day split for a long time before, I generally maintain it for just a week during periods of high volume of work at my job. I’ve laid out a few good approaches to training that have worked quite well for me. However, we are all different and what might work well for me could be a total flop for you. I’ve found for myself that my best workouts are usually done around noon after having a decently-sized breakfast but unfortunately that schedule won’t work for me now. To get a better understanding of your body, I encourage you to experiment with different training times and see what works best for you. Remember: you should give it a few weeks before drawing conclusions. The idea behind this approach is you get up, have a small pre-workout meal with at least 40-50 grams of carbs and then hit the gym. You can also train fasted. Just take 5 grams of BCAAs prior to training or 3 grams of pure leucine (the cheaper option). Training fasted has worked quite well for me in the past, in fact – I hit 2 PRs within the month I experimented with morning workouts, but again – you should try for yourself. It energizes and uplifts you for the entire day to come. You get to have your evenings after work free to socialize and relax. You will generally feel much more energetic and sharp compared to training after work. You should have extra long warm up sessions. A good idea is to have a hot shower upon waking, as well. You might have a very hard time starting your workout due to sleepiness. You have to wake up earlier than usual to prepare for working out. Don’t have a huge pre-workout meal after work. If you have 1200 calories left for the day, split them in half or 60/40 but leave some calories for a post-workout meal. Studies have shown that post-workout protein and carbohydrates can have a positive effect on protein synthesis and stopping a process called proteolysis (where the body starts breaking down muscle proteins into smaller amino acids). 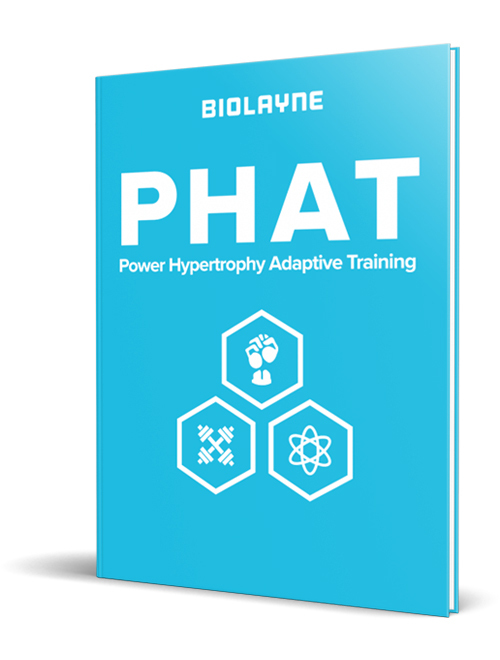 This study took 6 untrained guys and intravenously infused them with a balanced mixture of amino acids both at rest and after a workout. The post-workout infusion resulted in 30 to 100% more protein synthesis compared to the at-rest infusion. The other downside of having a huge meal is you will probably start feeling sleepy and lethargic. Have a short walk of 5-10 minutes after your pre-workout meal. Not only does walking speed up digestion but you also get to clear your head and think. How often do we get a chance to do that? Casein protein, cottage cheese and eggs are all great sources of slow-digesting protein for your post-workout meal. You get to fuel your body with food for a better and more productive workout. You get a chance to unwind and relax for a while after work to get your head in the game. You get to skip the rush of visitors around peak hours 6-8 PM and train in a (mostly) empty gym. You might start feeling tired and unmotivated to get going after 1-2 hours at home. Your post-workout meal could make it harder for you to fall asleep. This is yet another good way to get some of your workouts in without feeling overwhelmed during the work week. If you work Monday through Friday and have the weekend off, this schedule can work great for you. Do 2 of your workouts during the work week and leave the hardest ones for the weekend(back and legs, for example). These are two example splits I have personally used and have worked great for me. The idea is to keep most of your work week free and hit the gym hard on your off days from work. Let me start by saying that cardio is great. It has many benefits and you should do at least 20 to 30 minutes a week regardless if you’re trying to build muscle or lose fat. However, cardio is still a form of physical activity and even though an hour of LISS cycling on the bike might not seem very challenging, it still puts stress on your body. And when you add that additional stress to your central nervous system and muscles combined with the existing one from working a physical job and lifting weights, it all adds up and contributes to you feeling overtrained. As I said above, 20 to 30 minutes of cardio is actually recommended but beyond that your best choice is to limit it unless you’re deliberately trying to lose fat and you’ve already dropped your calories so much that you have no other choice but to add cardio and maintain a deficit. A lot of guys I’ve personally talked to are deliberately shooting themselves in the foot with this one. Here is the deal: my training and programming advice I outlined above do work. They have worked for me and many other people. However, if your diet isn’t on point and you aren’t eating enough calories to meet the demands of your highly active lifestyle, you won’t be able to make noticeable progress and you might even lose weight over time. Here is a practical example of how much my own TDEE changed once I started working a physical job compared to when I was a mostly sedentary student. For my first ever bulk, my starting weight was around 180 pounds at 6’2’’. I was eating around 3300 calories to gain 0.5 to 1 pound of weight a week(I was weighing myself daily and calculating the average for the week). Fast forward 1.5 years I had just completed my cut. I was around 9% to 10% body fat at around 177 pounds. This time around I was just starting out in the working world and once I reversed back my calories to be in a surplus, I had to start off at 3700 calories PER DAY. That is 2100 calories a week more than my previous bulk. By the end of that bulk, I was eating 4400-4500 calories. As you can see, we often underestimate our energy expenditure and wonder why we can’t effectively build muscle over time. There are many pretty accurate TDEE calculators out there. However, us folks with a physical job – we need to get a bit more creative, especially considering that our daily work volume might fluctuate. The way I personally approach it and recommend you do as well is this: Instead of adding 200-300 calories of a surplus to your supposed TDEE, add 400. Measure your weight daily (morning after bathroom), take waist measurements and reevaluate after 7 to 10 days. If you aren’t seeing any weight gain, add an additional 100 calories. Do the same and measure until you reach a point where you’re steadily gaining 0.5 to 1 pound of weight a week. Remember: the goal is building muscle. Too large of a surplus will inevitably lead to more fat gains over time. Same goes for cutting. If you’re about to start a cutting diet to lose some fat, don’t slash 500 calories off your supposed TDEE and see where it takes you. Instead, steadily drop your calories by 150-200 a week, measure yourself, take progress pics and see where the fat loss starts. You’d be surprised how much calories you can eat and still effectively lose fat. My last cut started at 2900 calories and I ended it around 2200 after near 5 months. Look, I’ve been there more times than I can count: it’s lunch time at work and my colleagues go somewhere to pick up a couple of burgers with fries. The temptation to follow their path is strong. The alluring smell coming out of the burgers – even stronger. But to maintain high energy throughout the day, we need to be feeding our body with quality foods containing complex carbs, healthy fats and protein. Eating nothing but fast food junk every day is not only bad for your health and can lead to numerous diseases but it often causes bloating and energy crashes. Does this mean you can’t enjoy a pop tart at lunch? Heck no. Indulging in a bit of guilty pleasure foods is not going to set you back, in fact it can help you stay on track with hitting your macronutrient requirements every day and make steady progress without feeling like you’re giving up everything you like. You just had to know this one was coming up. Proper hydration can be the difference between feeling alert, focused, energetic and overall positive and feeling crappy, depressed and lethargic. Often times our busy schedule comes in the way and we get so focused with our tasks that we completely forget to hydrate well. The general recommendation by many experts is to drink between 0.5 to 1 ounce of water for every pound of weight. If you weigh 180 pounds, that would be 90 to 180 ounces a day(or 2.65 to 5.3 liters) where 180 ounces is your upper limit for very hot days and high physical activity. I know you’ve probably heard this advice many times and the simple fact is – there is no way around it. Sleep is essential for us. It allows for our body and central nervous system to recuperate and getting enough for your individual needs is crucial not only to maintain a good balance between working out and having a physical job but to improve all areas of your life, as well. Let’s take a look at some studies done on sleep and the effect it has on us. This study done by the Defence and Civil Institute of Environmental Medicine in Ontario found that while muscle strength and cardiovascular response to exercise were not affected by sleep deprivation, time to exhaustion was decreased which means that subjects couldn’t exercise as long as they normally could before feeling exhausted. Another study from Stanford University set out to determine the effects sleep extension had on 11 young healthy students on the basketball team. They found that after a 5-7 week period of increased quantity of sleep, students set faster timed sprints, their accuracy and reaction time improved and they were generally less fatigued. Now, this study did measure factors you might not be much interested in improving but the bottom line is this: proper sleep does greatly contribute to peak in athletic performance. Whether that mean shooting 9.2% more accurate 3-pointers.. or hitting the weights in the gym with more intensity and focus. Hopefully this post has been of enormous help to you if you’re struggling to balance a highly active lifestyle with working out and making great progress in that direction. I’d be lying to you if I said that even though there are many approaches and tactics, there won’t be bad days. Days where you simply feel tired and fatigued and going to the gym feels much more like a chore rather than something you love doing that brings value to your life. Those are the days where most of all, you should listen to your body. Don’t try to power through a workout if you don’t feel well. Take a step back, use lighter weights, have a de-load week or restructure your entire program if you must. Some days won’t be easy. Regulate and get it done. You’ll be proud of yourself.